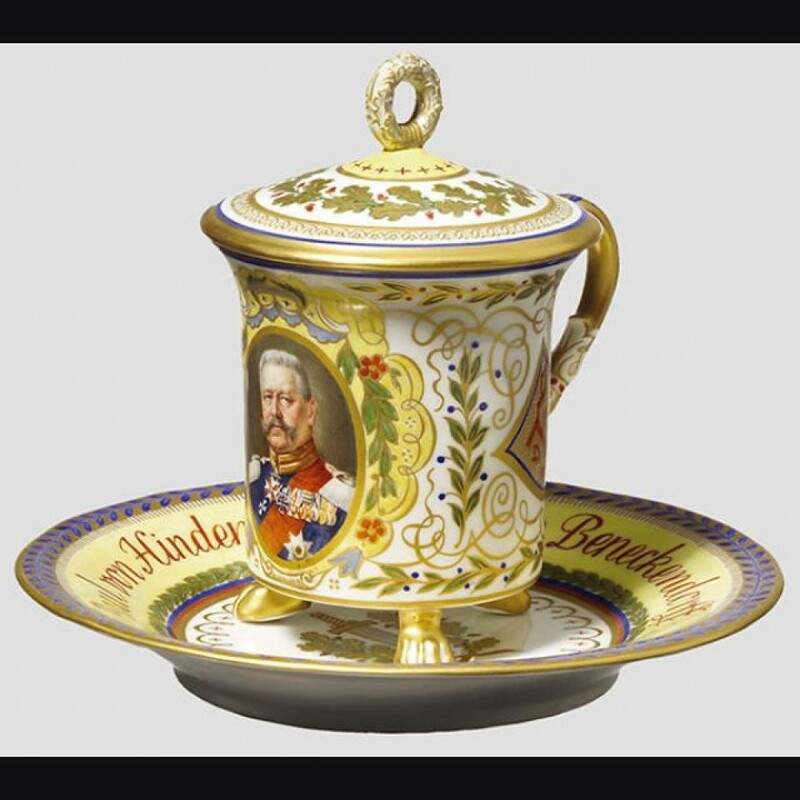 1920's Era Hindenburg Cup and Saucer. 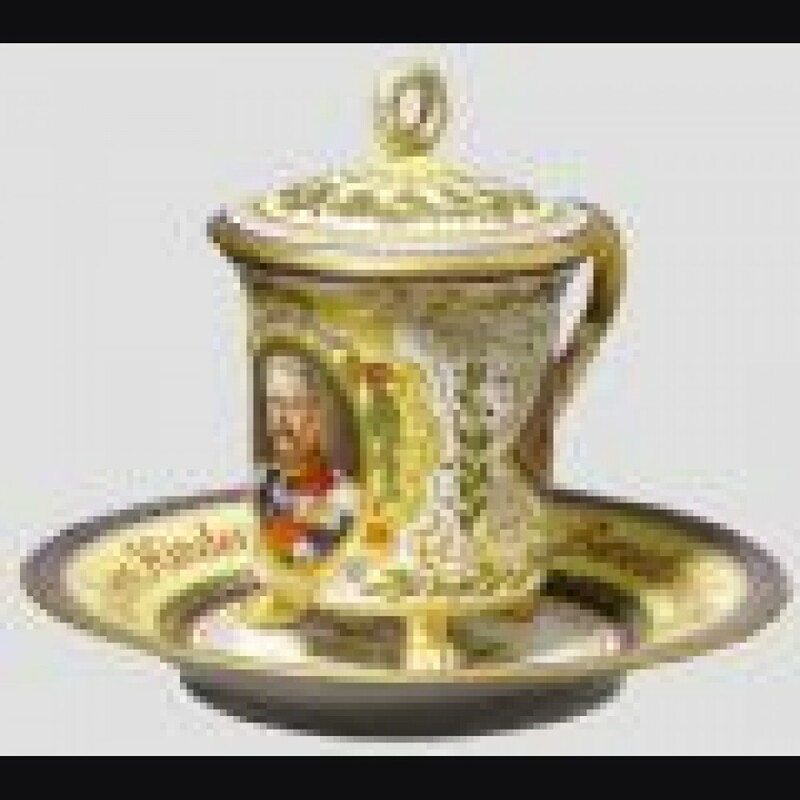 Hand painted porcelain cup and saucer. Portrait of Hindenburg and the initial "P" and "vH". Gilded claw feet with floral relief with oak leaf highlights. Saucer has inscription that reads "Generalfeldmarschall Paul von Hindenburg und Beneckendorff". Those unfamiliar of KPM porcelain should take note, these pieces are of the highest quality and in some case's rival Allach porcelain.